1. 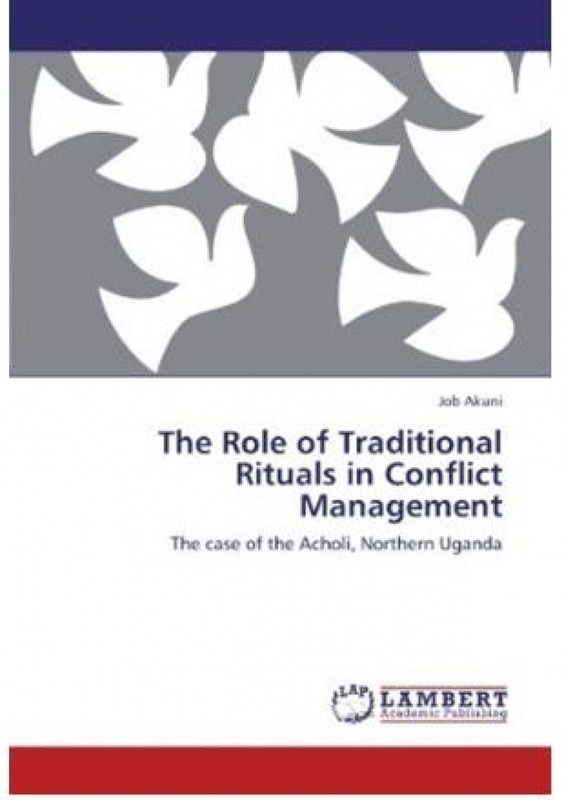 Akuni, J (2011) "The Role of Traditional Rituals in Conflict Management: The case of the Acholi, northern Uganda", Lambert Academic Publishing. Book description: In this book, the author examines whether integrating context specific indigenous ritual elements into contemporary conflict management approaches would address the characteristically ritualistic Lord's Resistance Army (LRA) conflict of Joseph Kony. 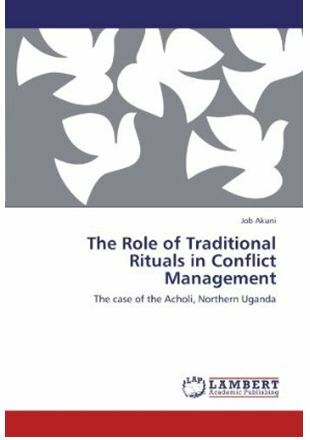 Using the case of the Acholi of northern Uganda, the author critically examines the efficacy of indigenous rituals in conflict transformation. The major findings revealed that some Acholi indigenous rituals have been used for generations in the management of small-scale conflicts and are perceived to be effective. Whether the indigenous rituals that are perceived as effective in the management of small-scale conflicts have the potentials of being adapted in the management of the LRA conflict remains controversial. It is through this unique lens that the book contributes to the contemporary debate on ending the onging LRA war. To order a copy of the book, click here. 1. Akuni, J., Mdee, A. & Thorley, L. (January, 2012) "Meeting the capacity challenge? 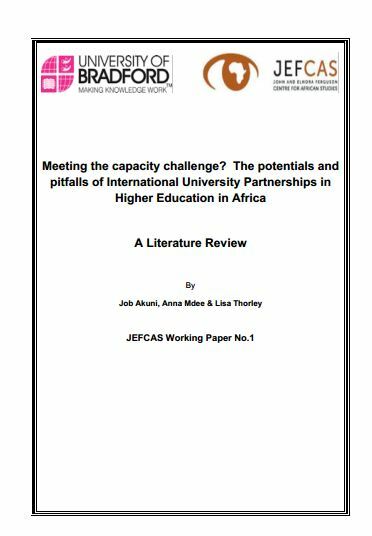 The Potentials and Pitfalls of International University Partnerships in Higher Education in Africa", JEFCAS Working Paper, University of Bradford. 2. Akuni, J. & Otto, B. (February, 2012). "The role of religion in effecting social change in post-conflict northern Uganda. ARiD Working Paper Series, No.1 (forthcoming), Pader. 3. 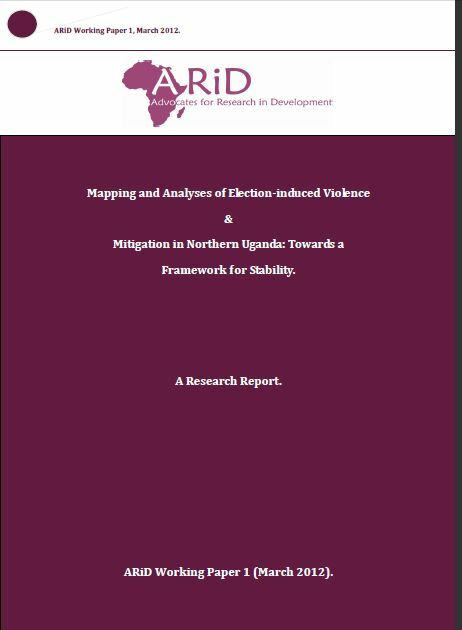 Akuni, J., Otto, B., & Otyang, M. (March, 2012) "Mapping and analyses of election-induced violence and mitigation in northern Uganda: Towards a framework for stability". ARiD Working Paper Series, No.2, Pader. 4. Akuni, J. (March, 2012)." Institutionalised and decentralised ‘copycats’? 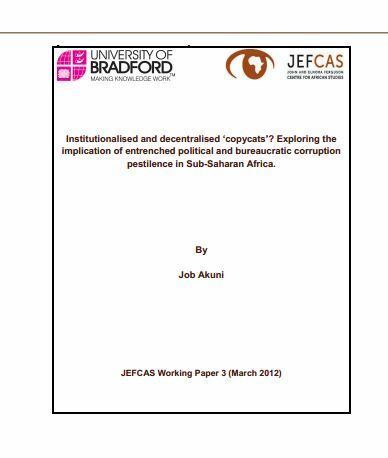 Exploring the implication of entrenched political and bureaucratic corruption pestilence in Sub-Saharan Africa," JEFCAS Working Paper 3, University of Bradford.